all gifs posted are by me. Happy Birthday to Miki chan!!! 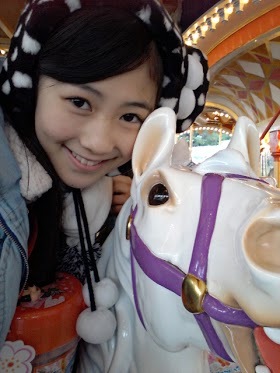 adventures and much happiness for Miki chan! She doesn't like stretching, even though she knows it is good for her. 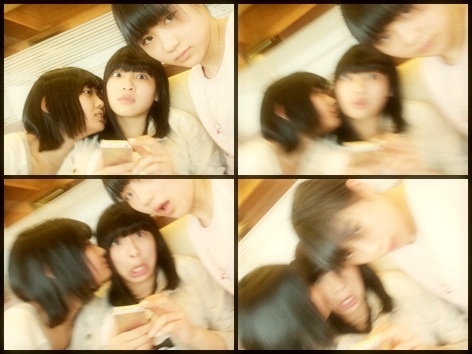 Lots of Three Muskeeters: Miki, Mako, Nana. There’s a topic that’s being talked about a lot in the news. 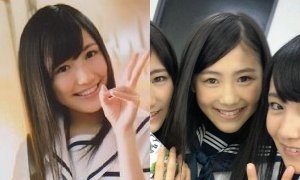 That’s, “How much Mayuyu and the 14th Generation member Nishino Miki resemble each other!” Aren’t they the splitting image of each other!? With great effort, we got the two of them together for a conversation. Do you remember your first meeting? 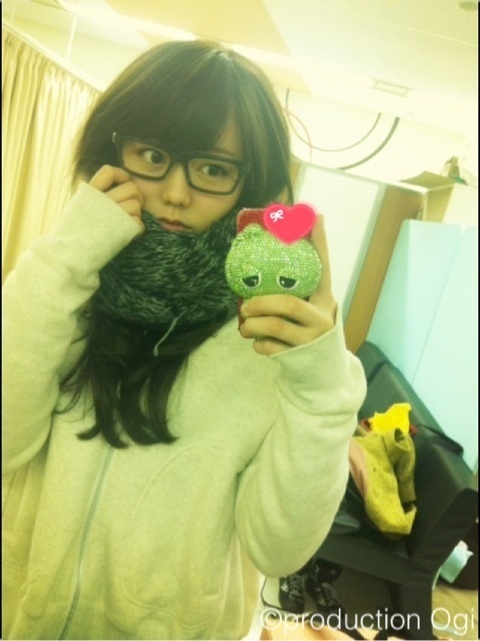 Mayu: I wonder when it was. 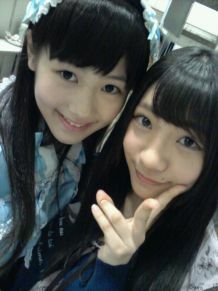 I think the first time I properly recognised Miki was when she participated in a national handshake event. The trainees were wearing blue uniforms. Miki: It was in Hiroshima, wasn’t it? I remember it. You had an amazing aura. Mayu: You’re lying! No I didn’t! [laughs] Your birthday present to me from that time is decorating my room at the moment. The stuffed bear. Miki: Really!? Thank you so much!! Talking of that, I remember when we were allowed to perform “Pajama Drive” together at the Budokan. 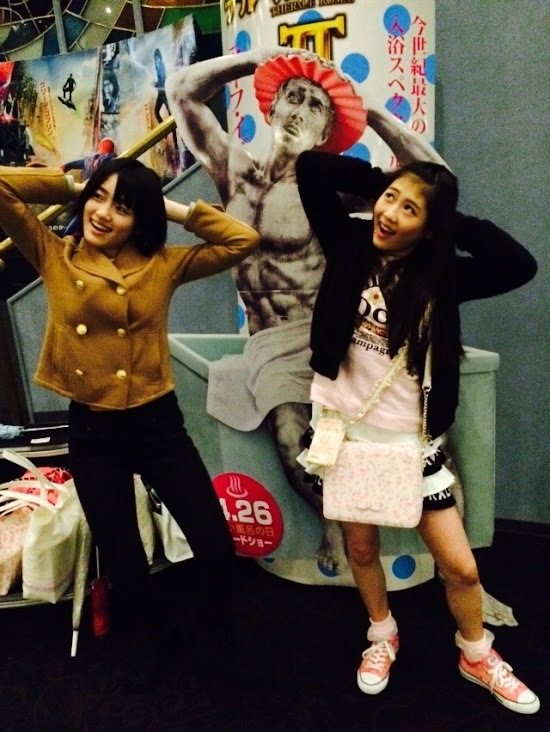 Mayu: That’s right. 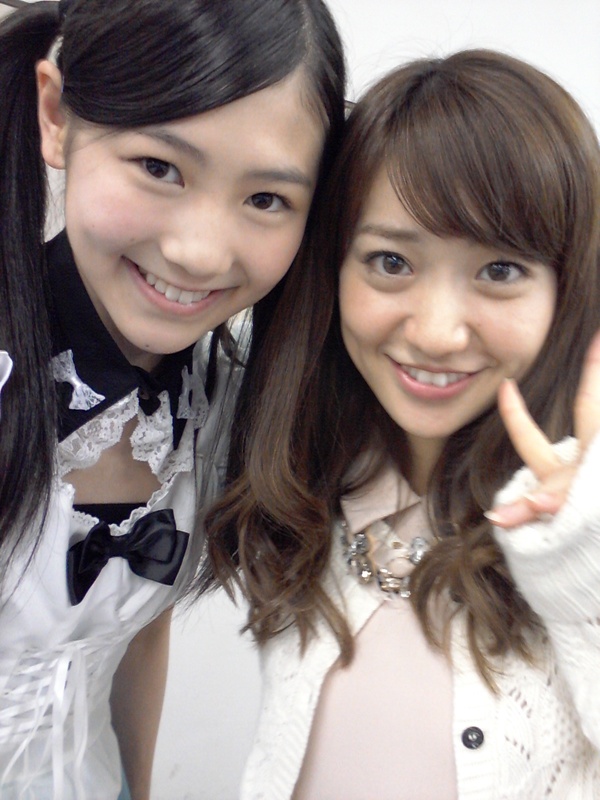 With Kojimako, too. 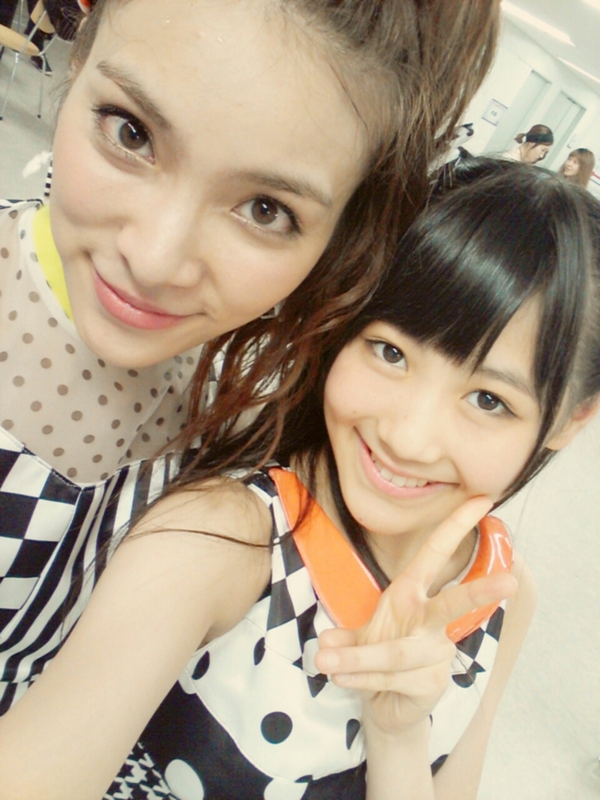 Miki: I was so nervous to be performing together with you. Miki: In the future, my objective is to appear in dramas and have a solo debut, so I’m longing for an existence like yours. Mayu: You’re making me grin! [laughs] By the way, it's said that we resemble each other a lot, isn’t it? 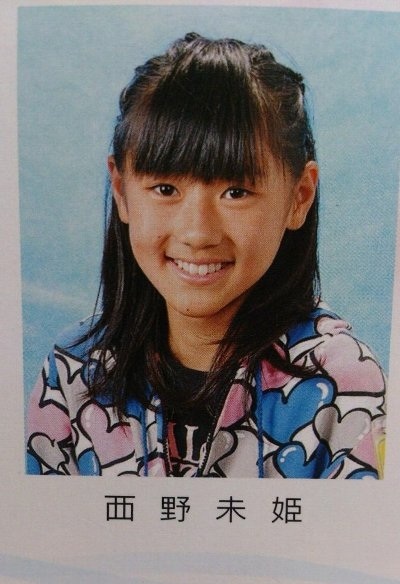 Miki: I’ve been told so ever since I entered AKB48. 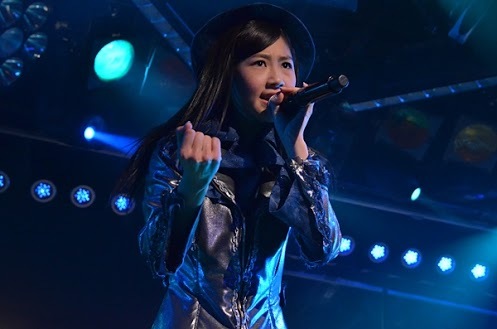 Mayu: I’ve also heard it a lot from the other members and the staff. At handshake events, fans often tell me, “I’m also going to queue up in Miki’s line,” so maybe you’re getting lots of fans from me! 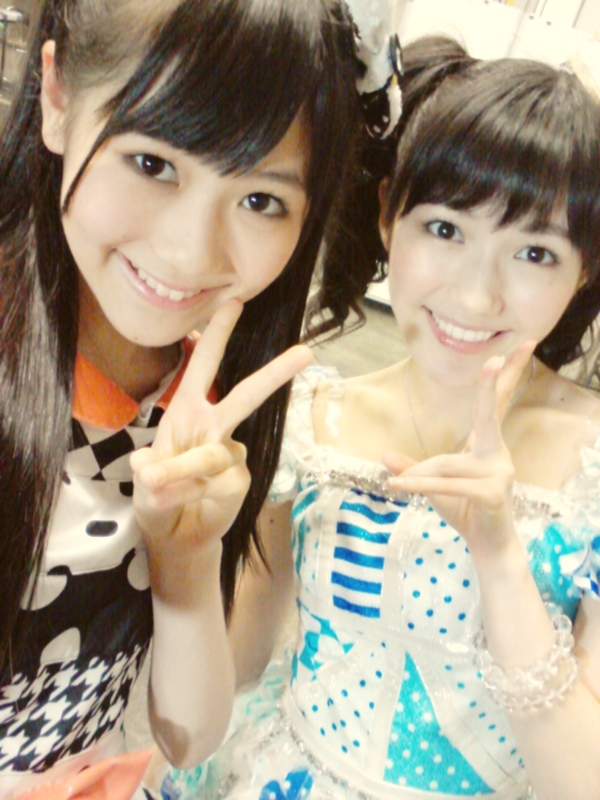 Mayu: It’s so much that my mother said that she mistook you for me at a concert! We really resemble each other, don't we? Miki: There’s something I’d like you to teach me. I’m really bad at remembering my lines, so I’d like to hear about how you remember your lines? 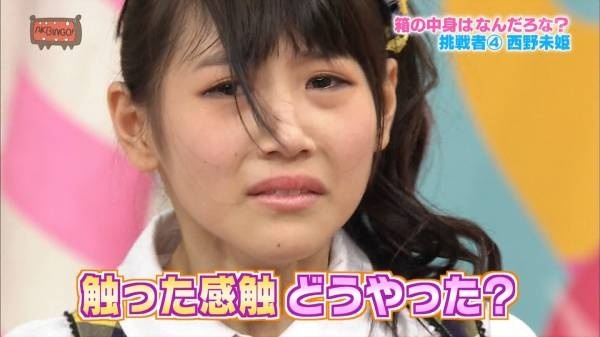 Mayu: There are times at concerts and performances where you have to talk, aren’t there? At those times, you should first remember the main points of what you want to say. Then you can fill in the gaps with your own words as you go along. Mayu: You have to really get into the character you’re playing. If you can think about how the character is feeling, the lines will come out naturally. Miki: Oh, really! Okay, I understand! 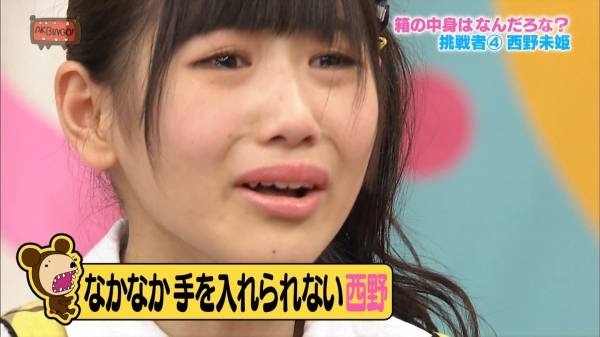 Mayu: The thing I want to ask is…. what do you do at times when you’re feeling down? Miki: What do you do, Mayu? 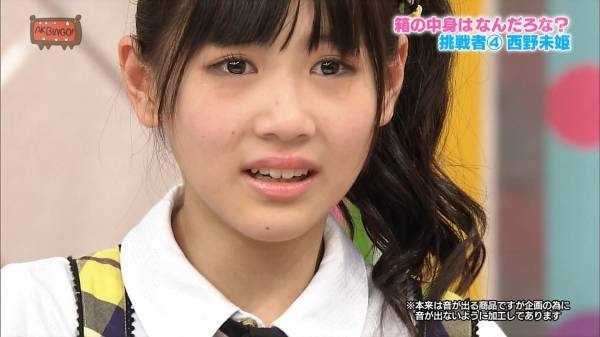 Mayu: I remember my initial resolution. I failed the 2nd Generation auditions, but I made a comeback and entered AKB48, so when I remember my feelings from that time and my initial resolution, I can try my best even when I feel like giving up. 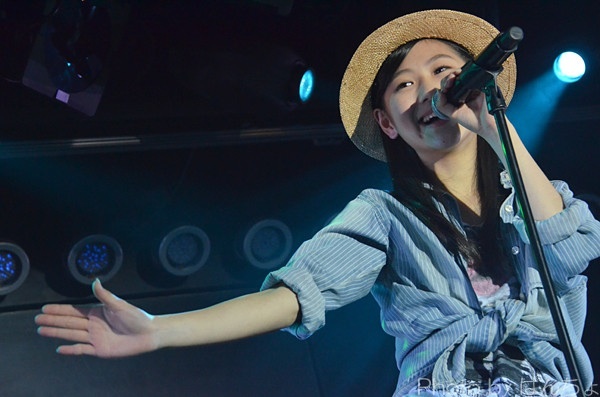 Miki: I also failed the 13th Generation auditions at the documents stage. Is there one more thing you want to ask? It’s time for the last question. Miki: (Fidgeting) Um… … … please tell me your e-mail address! 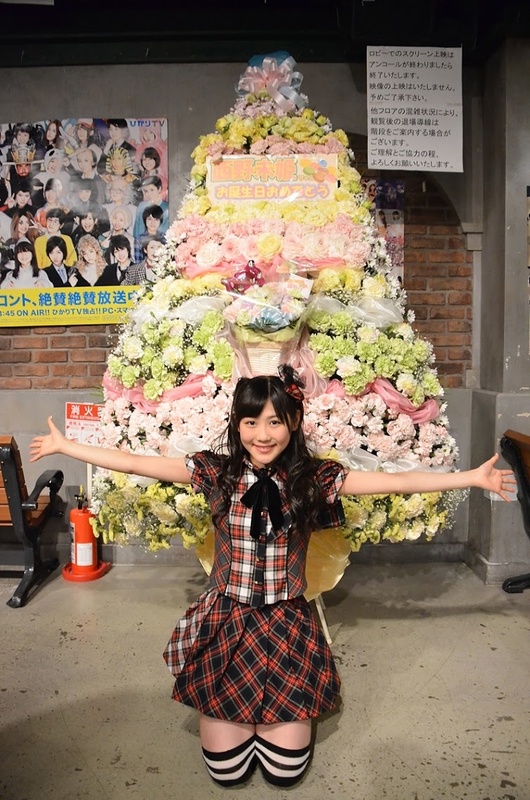 Mayu: Ah. The time got away from us. I’ll tell you, so please ask me anything! Miki: Thank you so much! 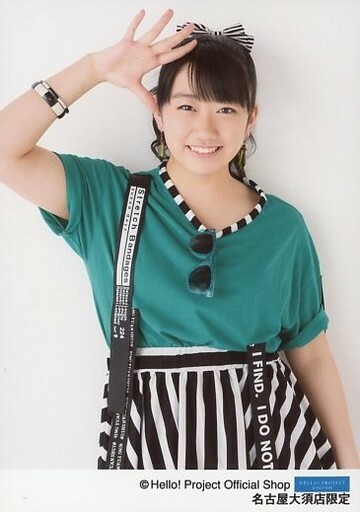 Random Miki-chan gif - she's so cute and energetic on stage! and much peace and joy in her life! "Too much information, Minegishi san!" Keep on keeping on, Miki chan! playing the "Can you guess what is inside the box? Feel it!!" Come on Miki chan! Be brave! Page created in 0.451 seconds with 18 queries.